I arrived in Juneau a couple days early (probably because the plane fare was a bit cheaper) and stayed in a hostel. I hiked most of the way to the top of Roberts Peak. 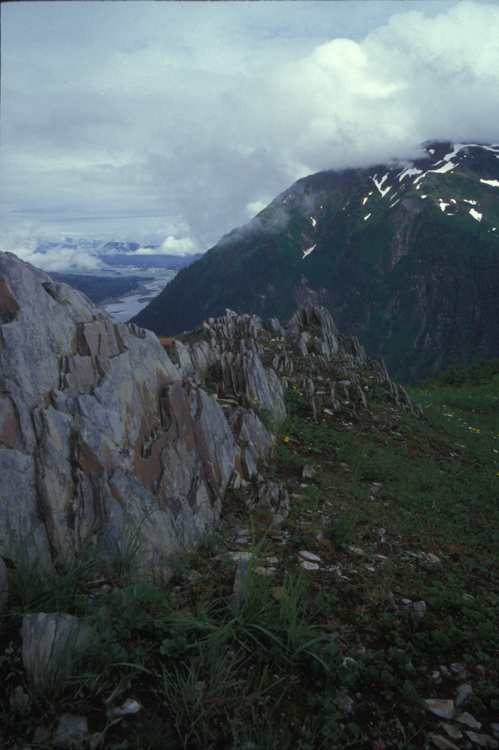 This picture was of a ridge of highly tilted rock overlooking the Gastineau Channel.